The Junior trainers are a pair of soft leather baby shoes in a trainer style, perfect for wearing around the house and even to nursery, cool style to wear out and about or indoors. Colour, navy & white. 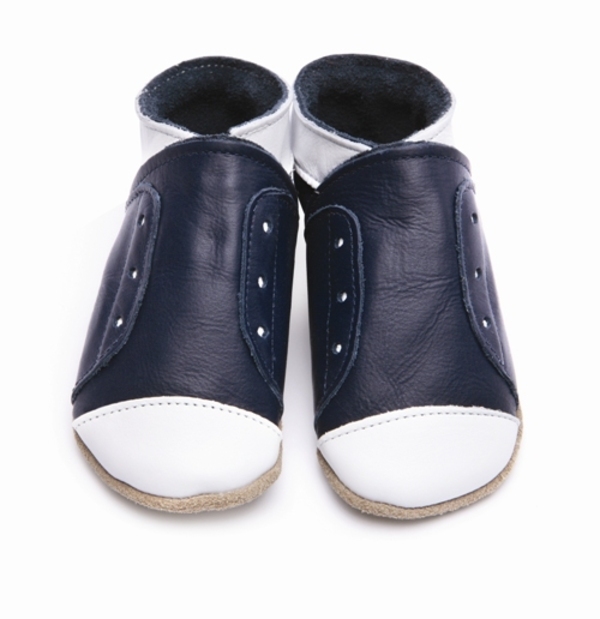 - Junior Leather Trainers: made from soft leather in navy & white.